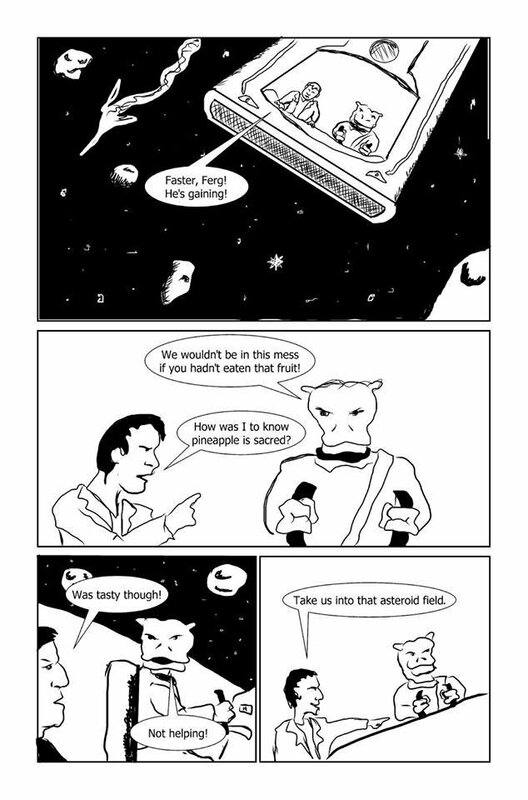 It’s friday fixup, this slice of sci-fi silliness is from Stephen Ward who has a whole strip for you to read here. I took his first page to see if I could pep it up with the story telling, His page then my edits, then notes to follow! You have the vast, endless expanse of space (“Space is big. Really big. You just won’t believe how vastly, hugely, mind-bogglingly big it is. I mean, you may think it’s a long way down the road to the chemist, but that’s just peanuts to space.” the great Douglas Adams) and yet panel one feels super cramped. It’s also got the main characters flying against the direction of the reader (reader is, of course, moving left to right – anything that is on the page attempting to move right to left is gonna feel either very jarring or like it’s not moving at all – a still moment). So panel 1 I pulled the camera right out – since we have two characters the dialogue – in the context of the rest of the page – is actually pretty clear which character is speaking so we don’t need to show them just yet. I’ve added some background, both of the interior of the spaceship – needn’t be too much, just some lines to help us know where we are, and windows to the exterior with stars flashing by – it all helps give us a sense of movement. 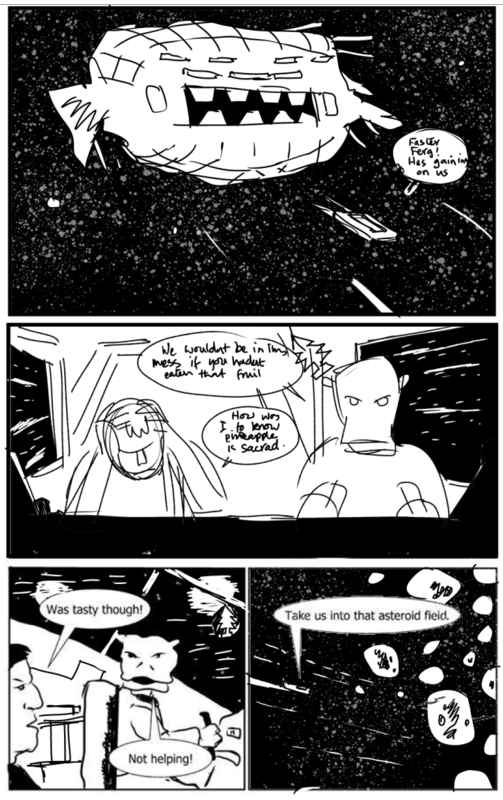 You could also maybe give the panel a dutch angle which would help give a sense of a spaceship jigging left and right to avoid being shot at and would elevate the character higher on the right so it helps the letterer even further. Anyway, that’s all I’ve got – ymmv, pick from this what you think works and what doesn’t.